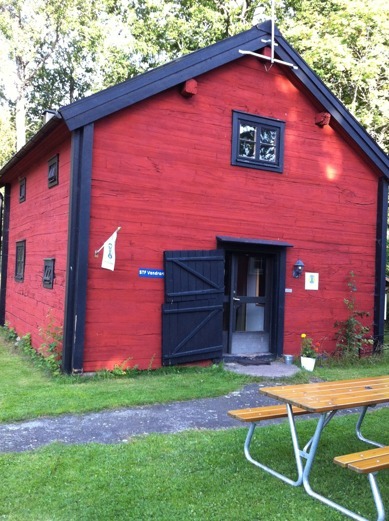 The hostel's main building is the 60m long old stable building. There are 5 entrances in total, with 2 rooms each and a shared bathroom in between. The bathrooms are equipped with toilet and shower. Every room has a window facing a green area. 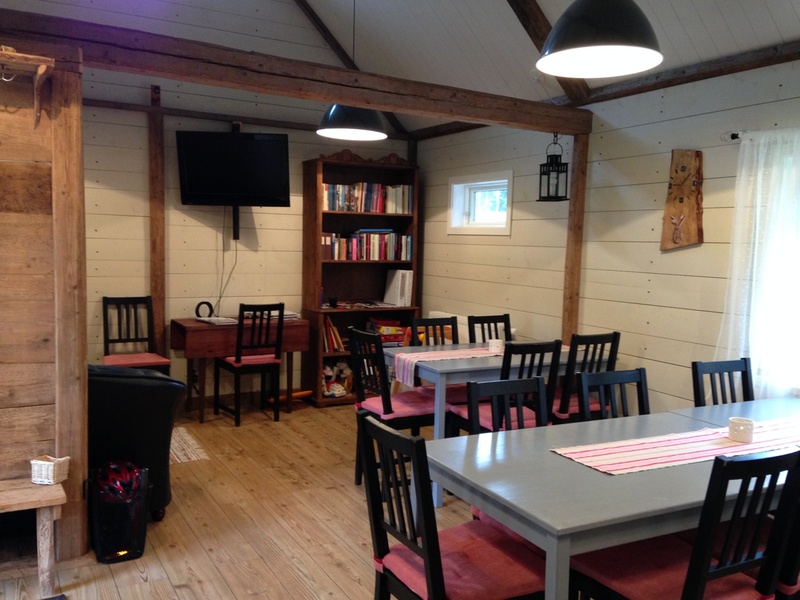 The building also includes the guest kitchen/tv room, the reception and Café Stallet. Free wifi is available as well as a big green area and a BBQ place. 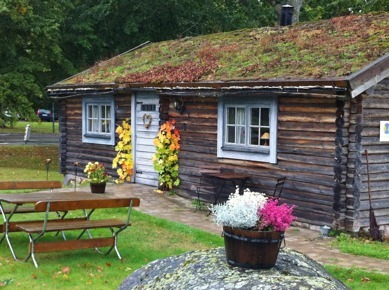 You can also chose to rent a cottage instead! 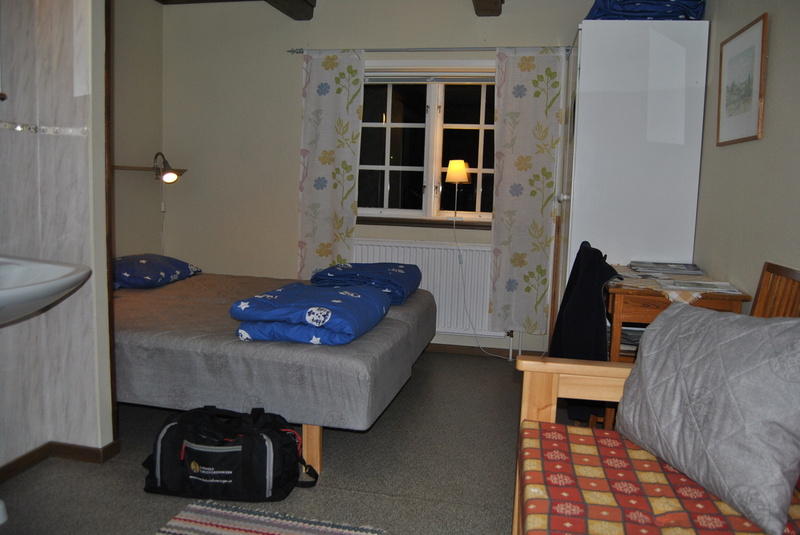 Room 2, Ingemundebo. 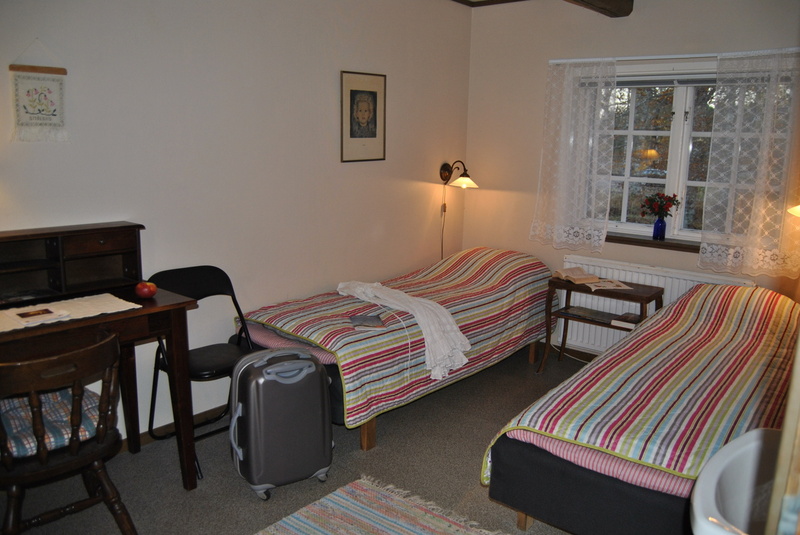 The room has a double bed and a bed sofa, a small table , a chair, shelves and a sink. Up to 4 people. Room 4, Kvarnaryd. Family room, up tp 5 people. This room includes 2 bunk beds, table and chair, wardrobe and sink. Room 6, Harebo. 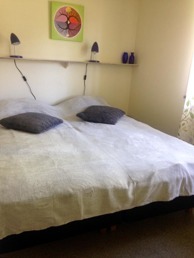 The room has a double bed and a sofa bed, a shelf, a small table, a sink and clothes hangers. Suitable for a family of 2 adults and 1 or 2 children. Room 8, Skallebo. A family room for up to 5 people. It includes 2 bunk beds, table and chairs and a sink. 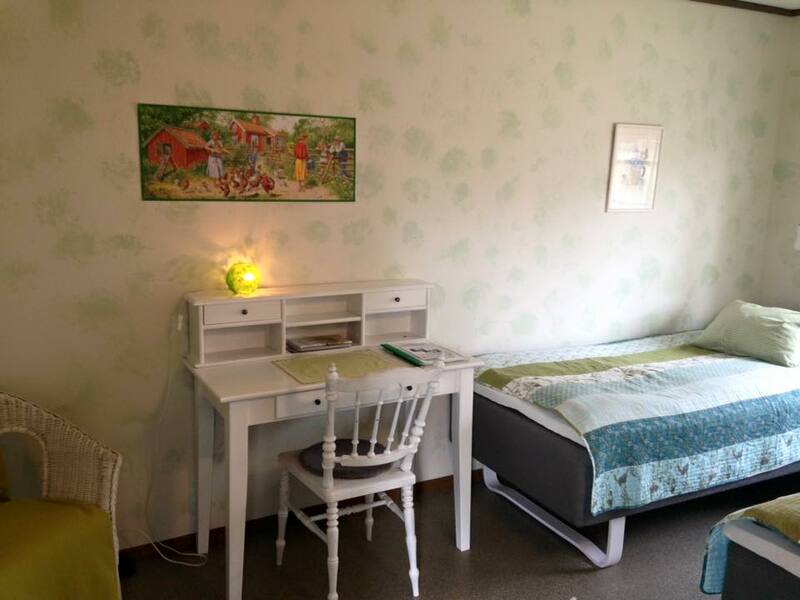 Room 10, Studsmåla. 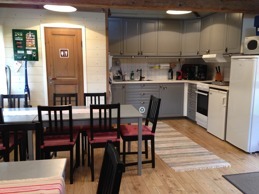 Includes a double bed and a bed sofa as well as wardrobe, a table, 2 chairs and a sink. Dogs are also welcome here! 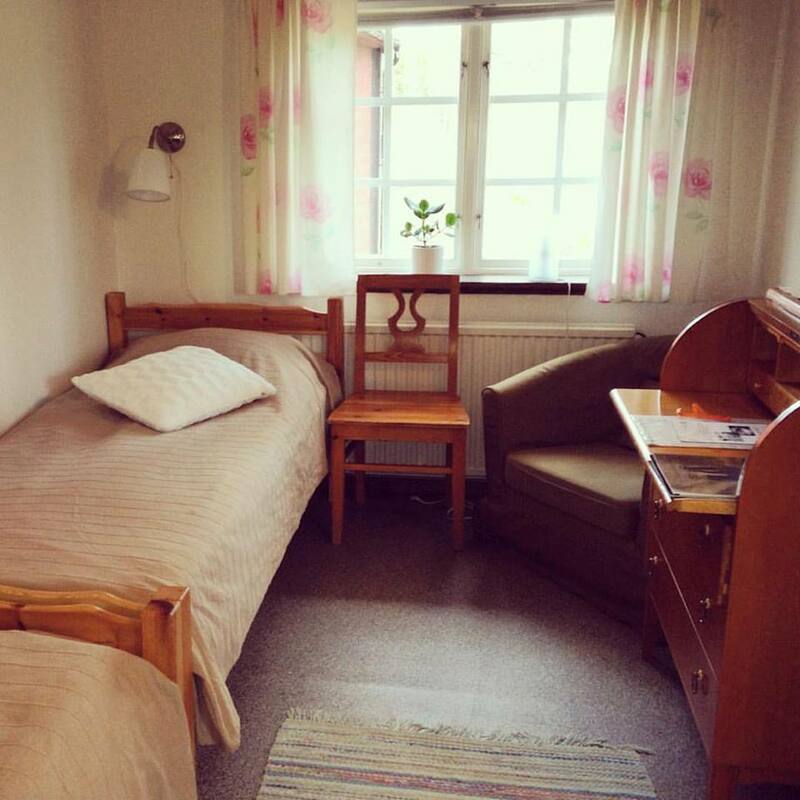 Room 3, Brunamåla. The room has 2 beds, desk, sitting area, clothes storage and a sink. 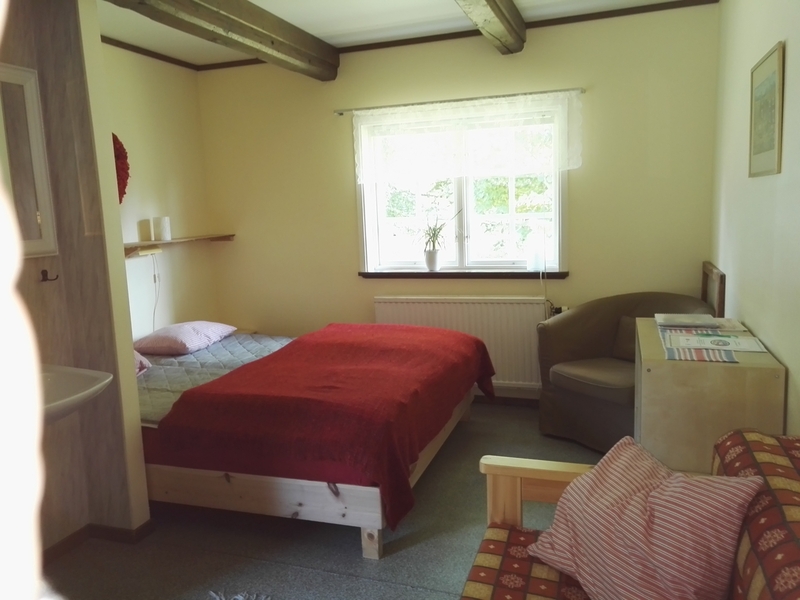 Room 5, Mundekulla. This room has 2 beds, table, chair and armchair, wardrobe and sink. Room 7, Bredalycke. 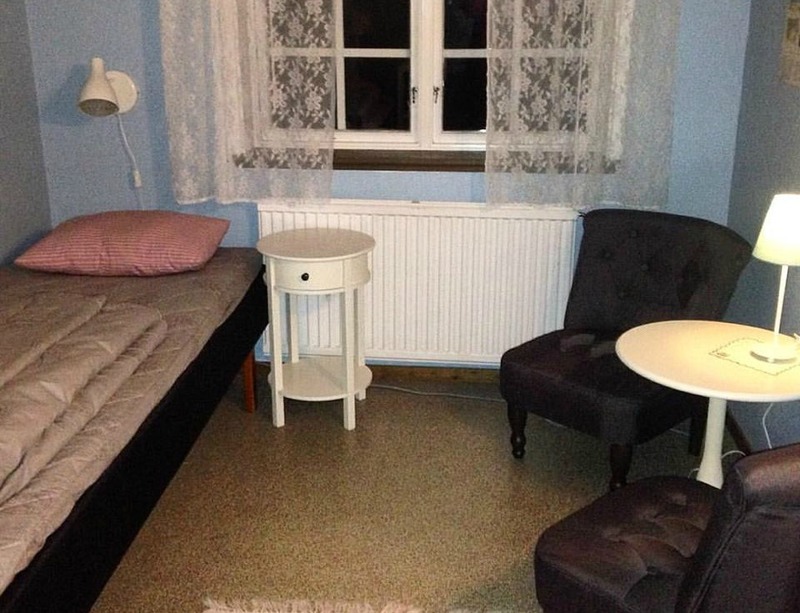 The room is outfitted with two beds, dest, sitting area with 2 arm chairs and a sink. Room 9, Sibbahult. It has 2 beds, 2 armchairs, wardrobe and sink. Room 11, Anemåla. This room includes 2 single beds, writing desk with chair and a sink. Here dogs are welcome as well! 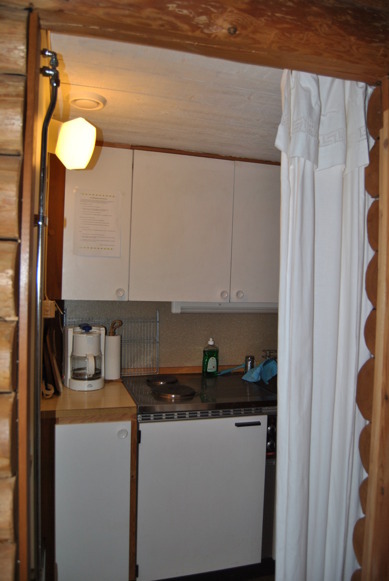 A cozy cabin with its own kitchen and bathroom with toilet and shower. 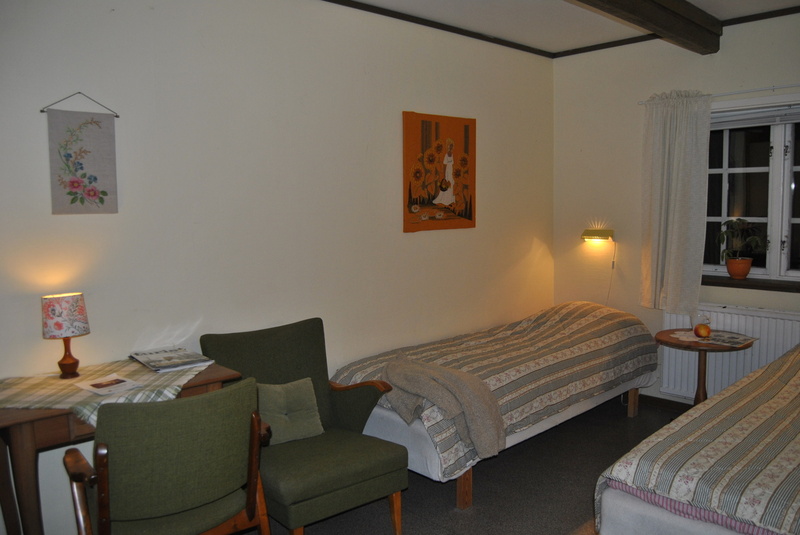 The room is outfitted with a comfortable double bed, a dining table with 4 chairs, wardrobe, bedsofa and a TV. The cottage is handicap friendly as well. 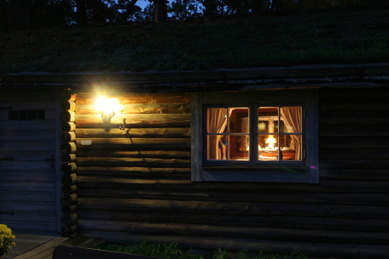 Here you can book our romantic weekend-pack or book the cottage as a wedding-suit! 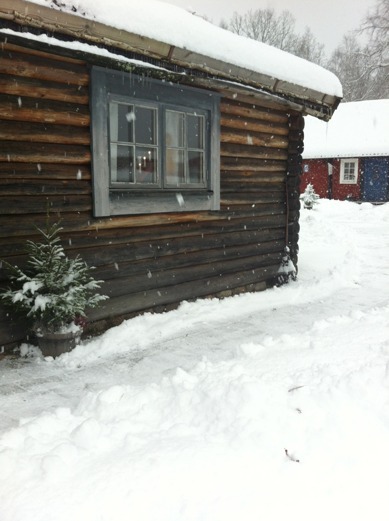 The outside of the small house is a replica of a house that Alfred Geijer, one of the people who returned to Långasjö after emigrating to America, built in Bonanza Creek in Klondyke, Alaska, in 1897. From 1850-1930 more than 1400 people from Långasjö emigrated to America. 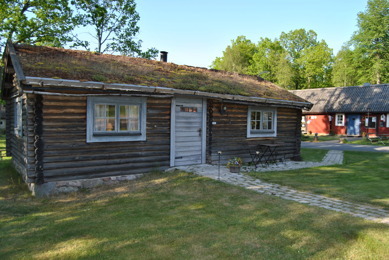 The history is presented in the museum which is situated in a seperate room in the cottage. 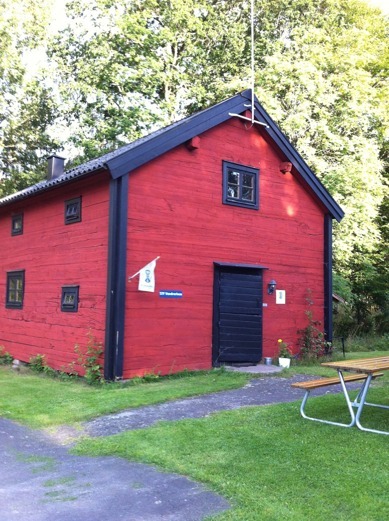 Brygghuset is located ring behind the old stable building. 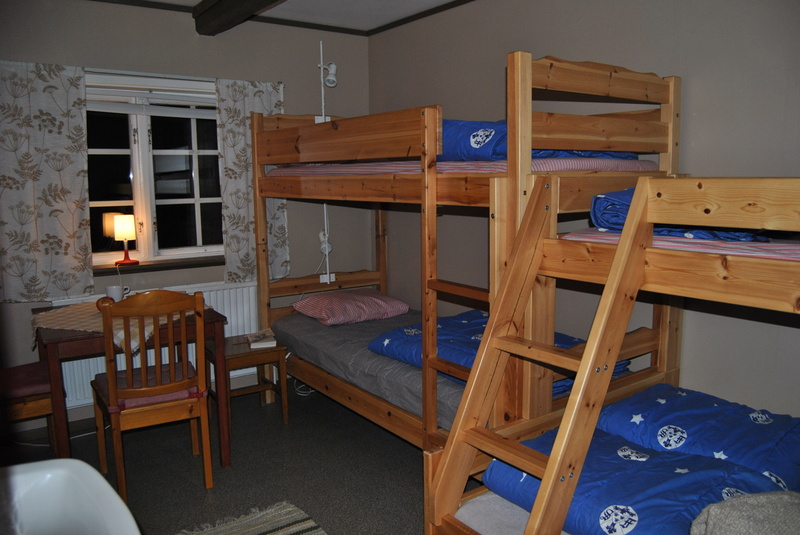 It includes 3 comfortable small rooms with a total of 7 beds. 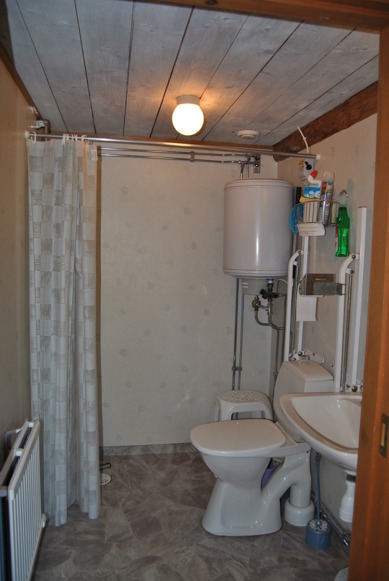 Toilet and shower are shared between those rooms. Upstairs is a large cozy living room with a fireplace and TV. The newly renovated kitchen is also found here as well as the dining area. Guest kitchen in the main building. Outfitted with dining tables, sofa and armchairs and a TV. You can cancel your booking free of charge until one day before arrival. If you do not cancel in time, you'll have to pay for the first night. 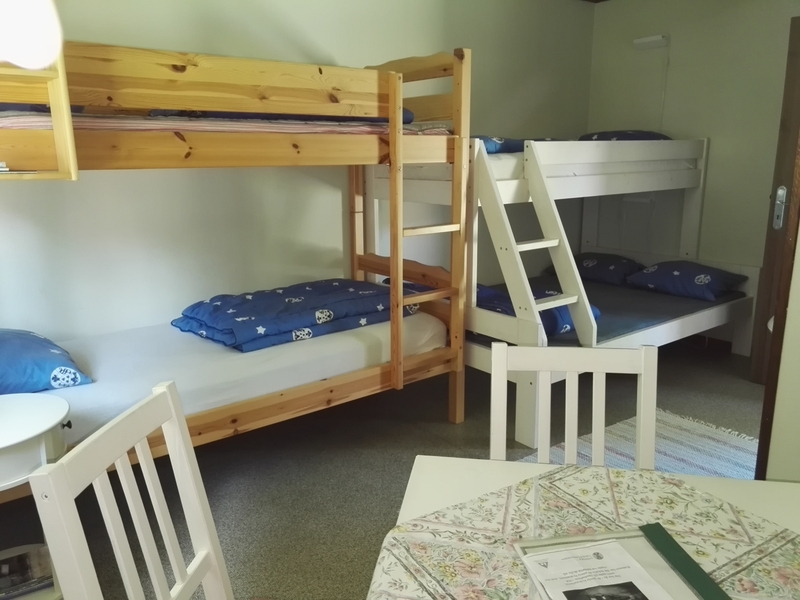 At our hostel you choose whether you want to book Bedclothes, if you want the beds made or if you bring your own bedclothes. Our bedclothes come at a small fee. Breakfast buffet is not included but can be purchased during high season and all year around if you come as a group with at least 6 persons.